For those of you who are frantically panicking for those last minute Christmas gifts, I wanted to share with you a fragrance that I have recently come across by the fragrance powerhouse; Creed. Inspired by the spiritual and royal splendor of India, Original Santal captures the essence of precious Sandalwood trees from India which are best known for spiritual strength, calming power and the beautiful scent of Sandalwood. I was already a fan of Sandalwood prior to smelling this fragrance, and I was also already a fan of Creed, especially their fragrance; Aventus. So much so, that I named this my number 1 fragrance of 2015! A clean, sophisticated fragrance that felt light, dry and crisp during the opening, yet a little busy and manic with all of the different notes bouncing around off of each other. After 15/20 minutes or so, the fragrance began to turn a little more woody and with the Sandalwood note coming through which blends beautifully with the Tonka Bean and Vanilla notes which left the fragrance to feel creamy on my skin which was undoubtedly my favourite part of the fragrance! The silage and projection began quite strong but sat closer to the skin a little quicker than I would have liked, which meant that every time I got a little hint of the fragrance on my skin, I kept wanting to go back to it. Original Santal lasted for up to 5/6 hours on my skin with the occassional ‘Ooo what aftershave are you wearing today?’ question being asked to me by my friends! Overall, the fragrance had a really warm feel to it that may feel a little too rich to wear during the daytime, but would perform beautifully on an evening. To purchase Creed: Original Santal, click here! Have you smelt Original Santal by Creed before? What did you think to the fragrance? Have you smelt any fragrances from Creed? If so, which ones? I would love to hear from you, so leave me a comment below and don’t forget to click the ‘like’ button! This may startle a few of my loyal readers as they will know I am a huge fan of Tom Ford so you would think that my Number 1 Fragrance would be one from Tom Ford yes? My Number 1 Fragrance for 2015 is in fact, Creed - Aventus. I had smelt this fragrance on somebody on a hot, summers night in a club and it was only after I had left the club that I had realised I was more attracted to the fragrance as opposed to the person.. Oops. The reason as to why this is my '2015 Fragrance' isn't because of how powerful and sublime this fragrance is, it's because of all of the memories conjured up inside this bottle that come rushing back whenever I smell it again. I had stayed over in Manchester for my Summer, (albeit a lot shorter than I had planned for) and I had bought this on my first day as I was searching for a scent that was new, fresh and exciting as I was going through a huge change in my life. This fit the bill perfectly! I wore this everywhere. Whilst working in Trafford Centre, to go out drinking in, to go shopping and even just to lounge around in. This fragrance really is an all-rounder and I would never go somewhere without having been complimented on it. Due to all the memories I have associated with this, I sadly won't be purchasing this again anytime soon as I'd like to keep my memories intact with this fragrance. I think everybody has that scent or fragrance that brings back a lot of memories, whether they be good or bad. Alas, this one just happens to be mine. However, be sure to come back and read my detailed review on this fragrance early Spring 2016 so I can help you with your choices for your Spring/Summer '16 fragrance! 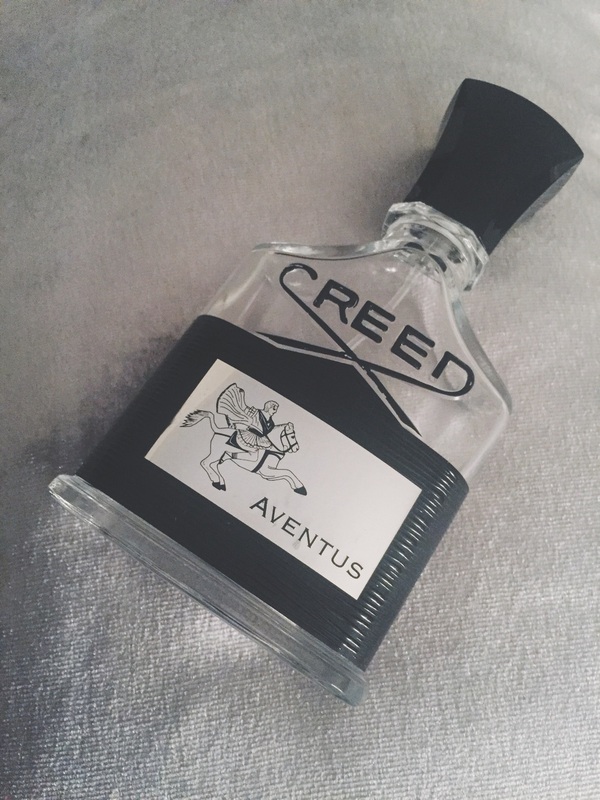 Have you smelt Creed Aventus before? Do you have a fragrance that brings back a lot of memories for you? Which is your number 1 fragrance for 2015? Let me know as I'd love to hear some feedback from you!